This tiny Self-Sufficient house can be placed at any location, from any garden on the planet to a sandy beach. It’s architecture will be suitable for different lifestyles and needs. 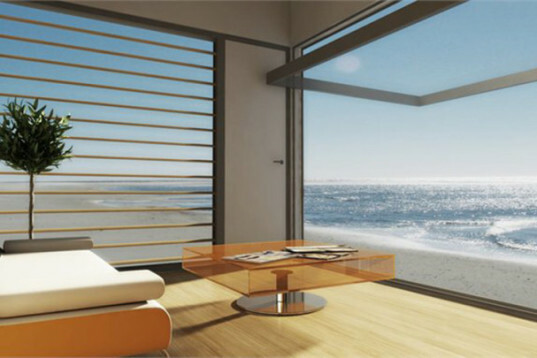 Panoramic windows offer great views, so the owner is better select the best landscape. Its design offers plenty of light in a clean modern space. 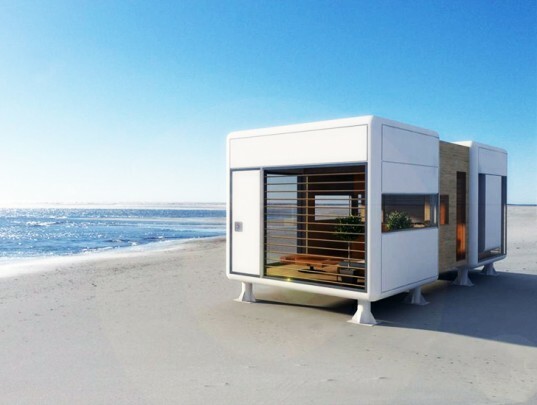 This tiny mobile home is a charming concept that must become a reality! 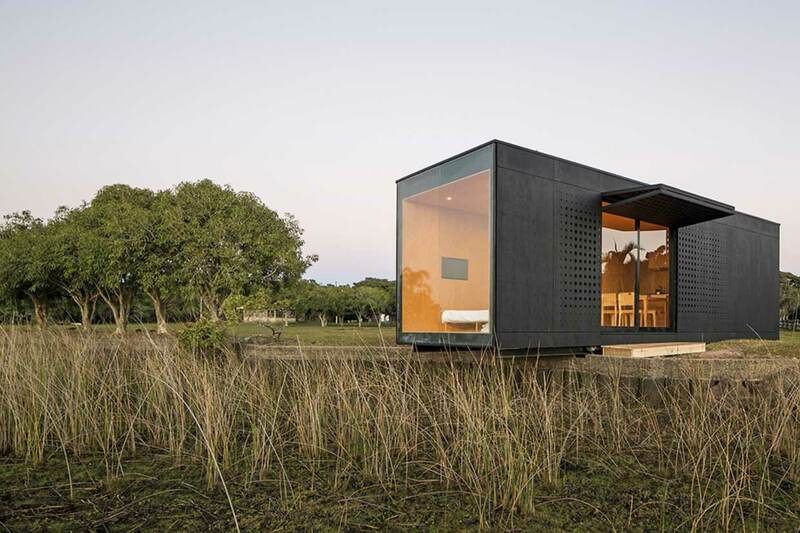 Architecture collective MAPA of Brazil and Uruguay has built a prefabricated modular home that can be transported by a lorry to any picturesque spot of your choice. The residential retreat comprises four modules, creating separate areas for sleeping, lounging, dining and bathing within a simple steel-framed structure. Huge shutters also hinge away from the side walls to reveal floor-to-ceiling windows, allowing residents to open their living space out to the surroundings. The structure was entirely prefabricated before being delivered to its rural location, but MAPA says the buildings can also be transported in pieces and assembled onsite. The first development of the concept for the Micro Compact Home was back in 2005, with the ambition to create a functional and comfortable home within a 2.6 meter-wide cube. 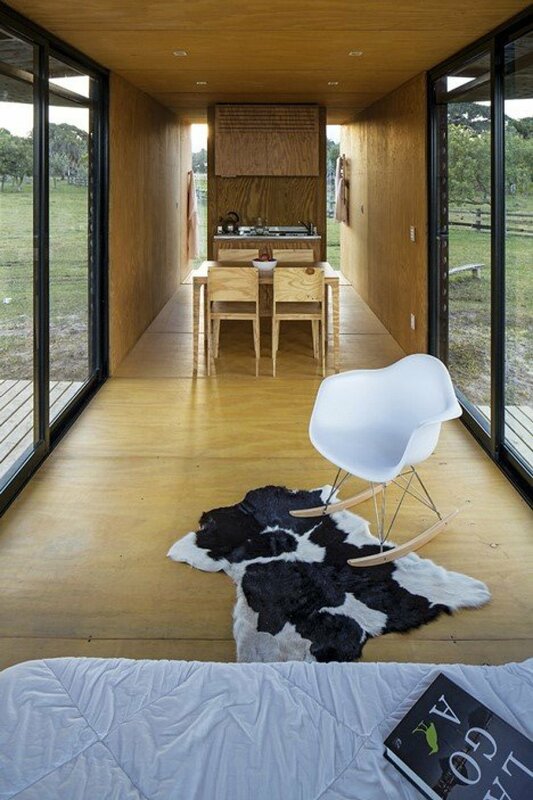 Unlike its predecessors, Micro Compact Home 016 has a lightweight frame made from aluminum rather than timber and is a meter longer to accommodate both a double bed and a dining table for eight people. 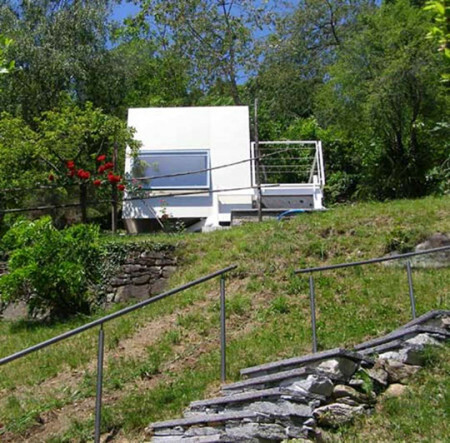 It took just four minutes and nine seconds to install this prefabricated house on a site overlooking Lake Maggiore in Switzerland. 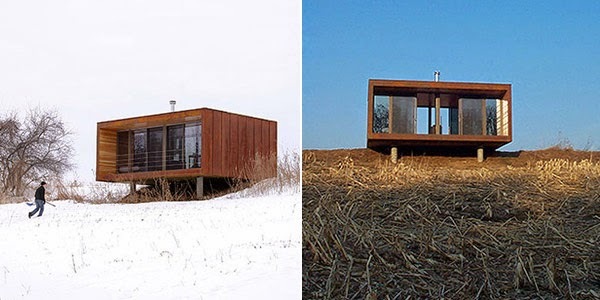 Housed in a single shipping container, the Port-a-Bach is a fold out home which magnifies in size after the containers side and front have been expanded or unfolded. Despite its size, the home has all the necessary amenities fit together to keep the space as open as possible. 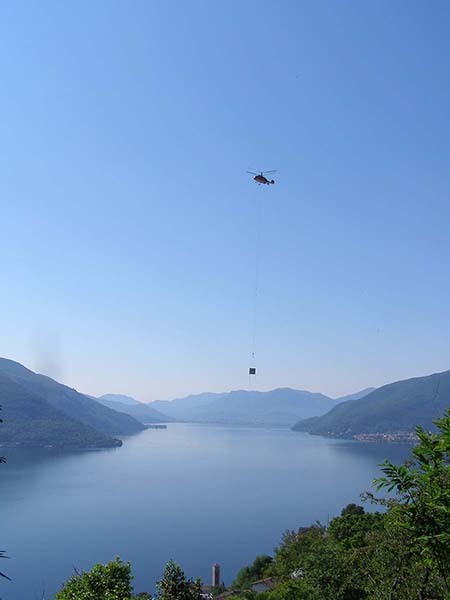 Not only can the unit be shipped to its location, it can also be loaded back onto a truck without disassembling it. company from start to finish. House plans are customized for the client; the house itself is prefabricated and shipped to the location. The smallest Wee house is only 341 sq. ft. and comes with a wood stove and full kitchen. Additional option of adding a bathroom and a separate bedroom is also available. 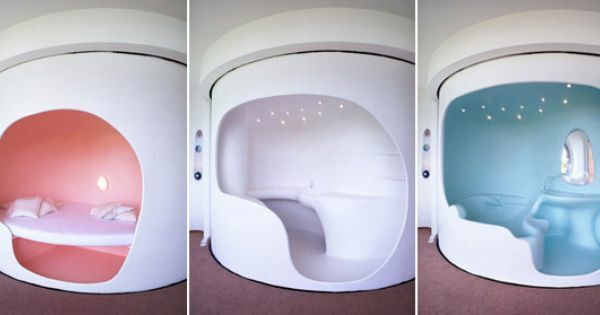 Designed and built by the German pre-fab housing company Hanse Haus, the Colani Rotor House maximizes its interior space by combining kitchen, bathroom and bedroom into a rotating column. The Escape Mobile Cabin is a sleek one-bedroom space that is technically classified as a Park Model RV, allowing it to be delivered to any place as a fully-complete living solution. Features include a built-in bed with nightstands, a premium bathroom with optional walk-in tile shower, a full kitchen with optional stainless appliances, a main living area with vaulted ceilings, a window wall, and an optional fireplace, and, finally, an optional screened in living area off the main. Either for a woodsy cottage, a guest cabin, or even just a small home, it’s a great and affordable option. Cubicco is a modular housing company with a focus on creating contemporary mixed communities designed around people’s health and well being. 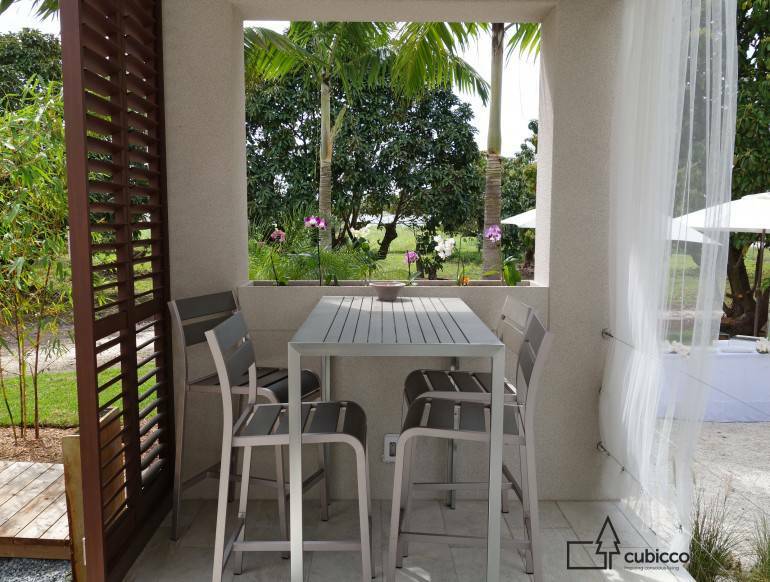 A Cubicco community is born from a profound respect for long term conservation of natural resources, energy-conscious building and pedestrian oriented urban design. Originally from the Netherlands, the company now has an office in Miami, FL. 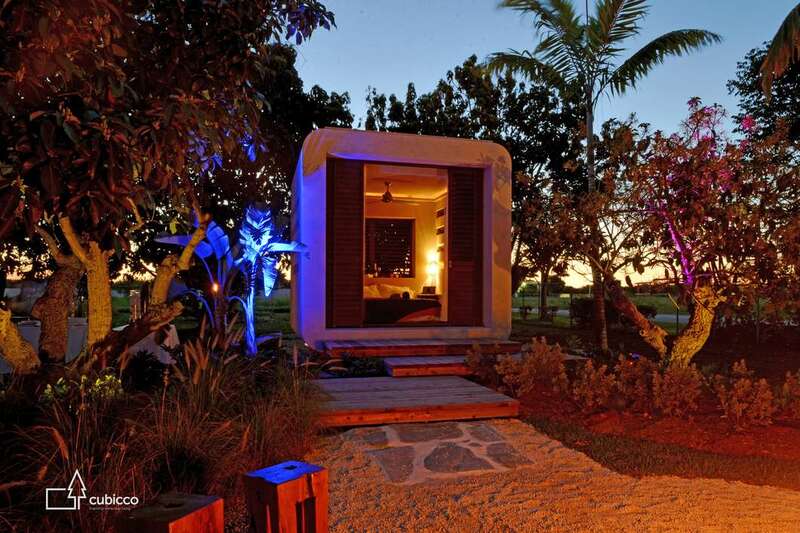 Cubicco designs and builds various sized units that can be attached together to create a larger building, but the one that is attracting attention is the tiny Cabana concept, which is 8×12 and costs $17,000. The full package includes all materials such as insulation, finishes, roofing, steel support legs and lifting brackets and all screws, bolts and sealants. Optional packages like rainwater catchment and solar panels are extra. 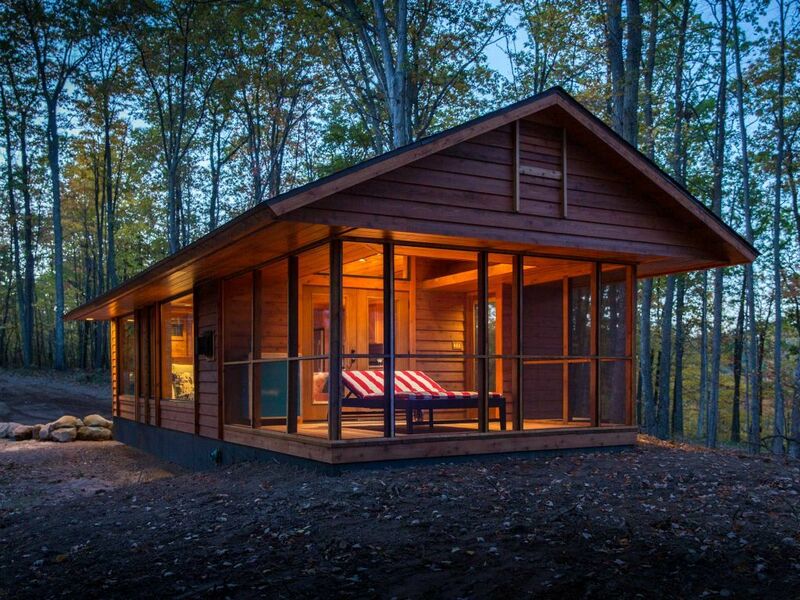 The Bunkie was originally conceived as an overflow space for cottagers in Canada’s beautiful Muskoka Region. Since then, the Bunkie’s appeal has expanded it’s use into a wide variety of contexts. The Bunkie Collection comes in 4 distinct models that can be combined with a large range of interior options to fit anyone’s lifestyle. All models measure 106 SQ. FT, allowing construction to take place without a building permit in virtually everywhere across North America.